Tove Lo became the Most Promising Artist of the Year at the 2014 Denniz Pop Awards. Who will win this or other prizes this year? Apply, nominate or vote. 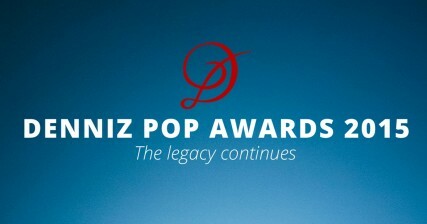 Instituted in 2013, the Denniz Pop Awards were initiated by the former Cheiron members, co-workers, friends and family. Each year four awards are presented at a ceremony held in Stockholm, this year on June 11. 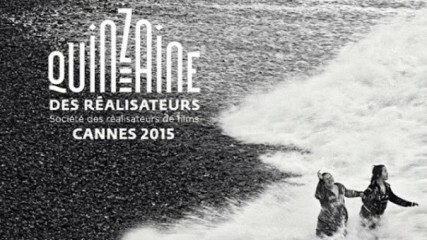 Cannes Film Festival’s sidebar, The Directors’ Fortnight, selects Swedish “Kung Fury” for the short films section. The theme song is co-written by Jörgen. Already becoming a viral success with its first trailer, the upcoming 30 minute action comedy Kung Fury, an homage to the 1980′s martial art and police action films, is created by the Swedish director David Sandberg. 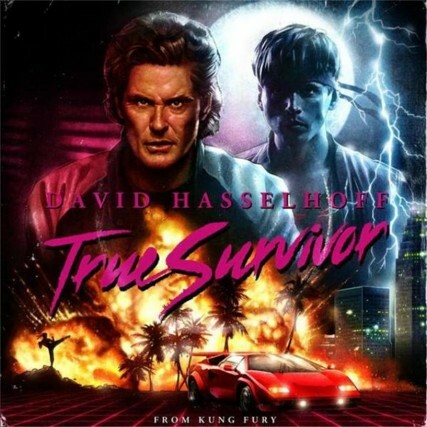 True Survivor, the theme song, is written by Jörgen and synthwave producer Mitch Murder. It was recorded in September 2014 in Jörgen’s music studio just outside Stockholm. 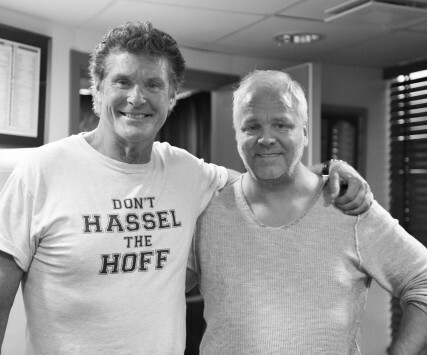 The film’s trailer, starring David Hasselhoff, includes explosions, gun fire, a white Lamborghini Countach as well as Hasselhoff riding a Tyrannosaurus Rex together with the main character Kung Fury, played by the director David Sandberg. After spending $5,000 producing the initial film trailer back in 2012, Sandberg in December 2013 decided to turn to Kickstarter for crowdfunding. Closing the campain a month later, on January 25 2014, the director had raised more than $630,000. On Tuesday it became official that Kung Fury will compete in La Quinzaine des Réalisateurs, also known as The Directors’ Fortnight, a sidebar of the annual Cannes Film Festival held from 13 to 24 May. SVT Channel 2 and SVT Play. 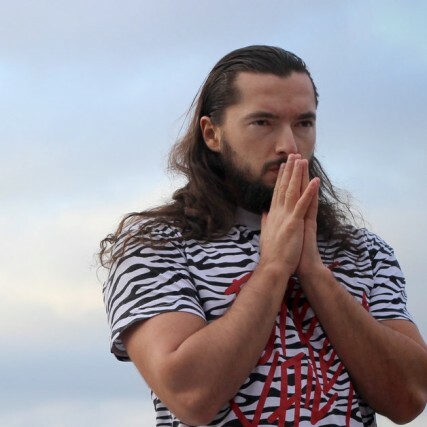 Rookie Artist: Tove Lo, Rookie Songwriter/Producer: Salvatore Ganacci. 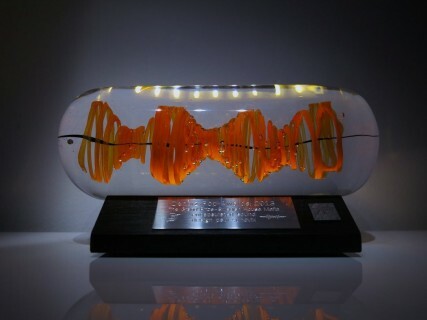 The Denniz Pop Award statue “Encapsulated sound” (below) is displayed at the Swedish Music Hall of Fame in Stockholm. 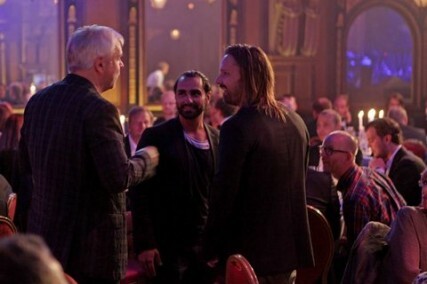 With Jonas Holst, publisher at Universal Music Publishing and co-jury member Per Magnusson. Andreas Carlsson, David Kreuger, Jacob Schulze, John Amatiello, Jörgen Elofsson, Kristian Lundin, Max Martin, Per Magnusson and Rami Yacoub. Instituted in 2013, the Denniz Pop Awards were initiated by the former Cheiron members, co-workers, friends and family. The idea of the non-profitable music award is to help new songwriters, producers and artists to continue the legacy of Denniz Pop. Also to recognize the Swedish international success-of-the-year, through the Grand Prize Award. 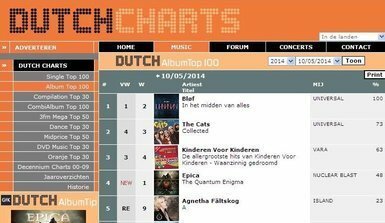 Released almost exactly a year ago, on May 13, 2013, Agnetha’s album “A” still keeps rising up the charts. Last Saturday night the BBC documentary “Agnetha: ABBA and After” was broadcast on Dutch television. Only moments later, her album “A” rose to No 1 on iTunes and on the e-tailer Bol.com. On this week’s albums chart Agnetha has re-entered at No 5. 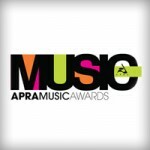 The Australasian Performing Right Association (APRA) today released its nominees. Jörgen is together with Tania Doko, David Musumeci and Anthony Egizii nominated for the “Pop Work of the Year” award for Samantha Jade’s song “What You’ve Done to Me”. The 2014 APRA Music Awards will be held on Monday June 23 at Brisbane City Hall. 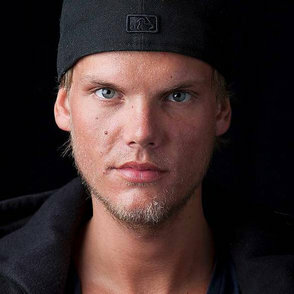 – In October 2013, Jörgen and his Australian co-writers were nominated for ARIA’s “Song of the Year” award. Samantha Jade’s self-titled debut album, including a cover of Kelly Clarkson’s “Stronger (What Doesn’t Kill You)”, also co-written by Jörgen and for which he was GRAMMY “Song of the Year” nominated, was released on December 7, 2012. After a stage appearances hiatus which would last for more than two decades, at 11PM yesterday the former ABBA member was back in front of an amazed live audience. The annual Children in Need Rocks concert was held at London’s Hammersmith Apollo venue last evening. 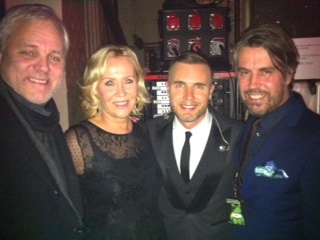 Together with Gary Barlow, the event’s host, Agnetha performed their duet “I Should’ve Followed You Home” taken from her album “A”. The full concert will be aired on BBC One tomorrow, Thursday, at 8PM. 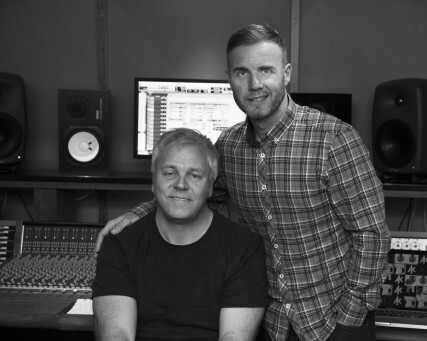 The duet “I Should’ve Followed You Home” is written by Jörgen and Gary Barlow and was recorded in the spring of 2012. Other artists performing this evening were Barry Manilow, Kings of Leon, Jeff Lynne, Tom Jones, The Wanted, Little Mix, Dizzee Rascal, Nicole Scherzinger and Gary Barlow’s former Take That band colleague Robbie Williams. In Jörgen’s recording studio in Stockholm, on April 26, 2012. 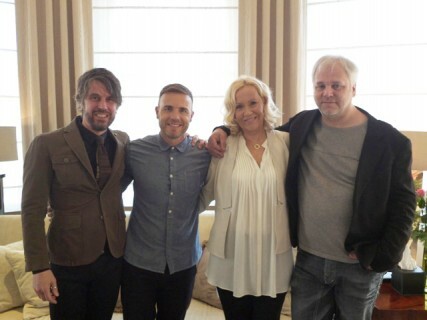 In London, promoting the album “A”, on May 4, 2013.
only moments after Agnetha and Gary’s performance. Agnetha’s upcoming new single “I Should’ve Followed You Home” is released worldwide (except for the UK) on Monday, November 18. 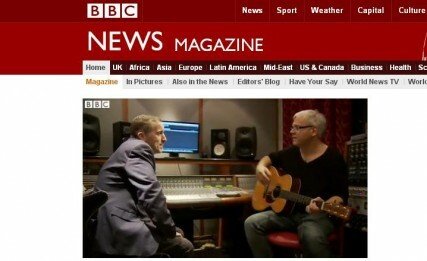 One week later, on November 25, “The One Who Loves You Now”, also co-written by Jörgen, will hit the UK stores. “Stronger (What Doesn’t Kill You)”, with Kelly Clarkson, is the most-performed song in the Broadcast Music, Inc. (BMI) catalogue on U.S. radio and television over the past twelve months. 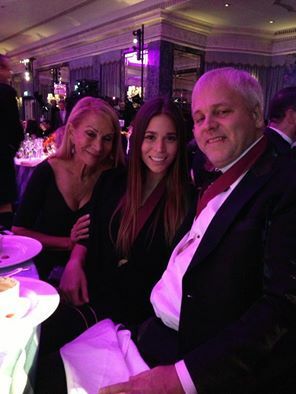 The 2013 BMI London Awards were held at the Dorchester Hotel last night. 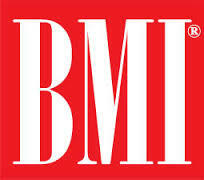 The most prestigious award, Song of the Year, was presented to Jörgen and his U.S. BMI writing partner Ali Tamposi, signed to Jörgen’s music publishing company Perfect Storm Music Group. Besides spending three weeks at #1 on Billboard Hot 100, Clarkson set a new U.S. list record by also topping the Country Songs, Adult Contemporary, Adult Pop Songs and Dance/Club Play Songs charts. 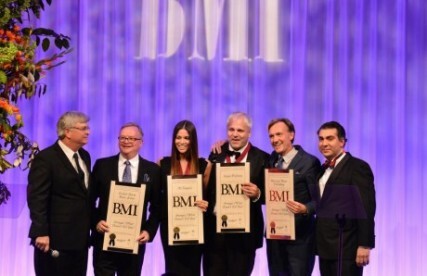 On May 14, 2013, in Los Angeles, Jörgen got his first BMI Award for “Stronger” and this far he has received a total of seven with different songs. “Stronger (What Doesn’t Kill You)” is written by Jörgen, Ali Tamposi, David Gamson and Greg Kurstin. 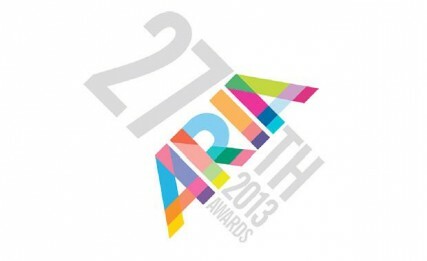 The 27th Annual ARIA Awards is held in Sydney on Sunday, December 1, 2013. 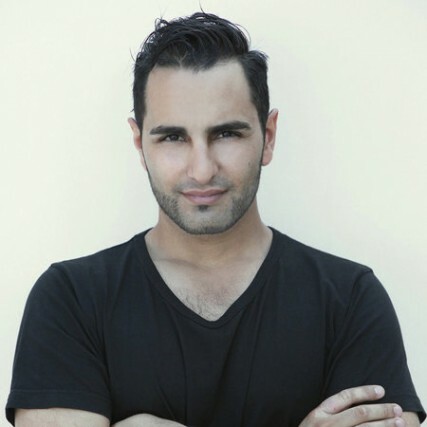 Disclosed today, Jörgen is up for the Song of the Year Award with Samantha Jade’s “What You’ve Done to Me”. On the night of November 20, 2012, Samantha Jade was crowned Australia’s X Factor winner, season four. Jade’s coronation song “What You’ve Done to Me”, co-written by Jörgen, went straight to #1 on both the domestic iTunes’ list as well as the ARIA Singles Chart. Samantha Jade’s self-titled debut album was released on December 7, 2012. It also includes Jade’s cover version of Kelly Clarkson’s Billboard Hot 100 #1 “Stronger (What Doesn’t Kill You)”, co-written by Jörgen, for which he in 2012 received a GRAMMY Award “Song of the Year” nomination.